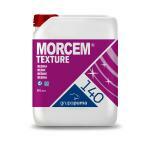 Lime mortar for wall covering and decorating. 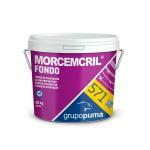 Ready to use synthetic-mineral render for waterproofing and decoration of façades and internal walls. Internal or external use. On walls and ceilings. 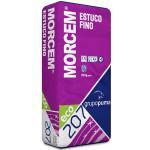 Decorative finish for external Thermol Insulation system TRADITERM (ETICS). 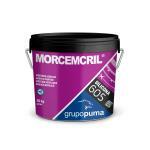 High quality acrylic primer indicated as a coloured wash for MORCEMCRIL. 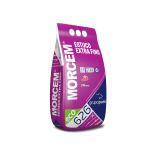 It improves adherence, easyes application homogenises substratc suction, and gives a base coloured covering. 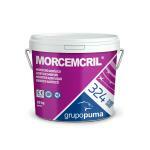 Improves covering and adherence of finishing acrylic mortar, while keeping high water vapour permeability. Easy to applicate and excellent adherence to substrate. 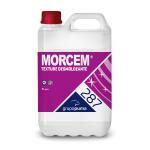 Specially designed for texturing of interior and exterior coatings. For hand or pump application directly on the brick. Wide range of decoration possibilities by combination of colours and textures. Product for protecting coatings based on a pure acrylic resin dispersion which can be used for finishing stamped mortars, protecting them from external agents by sealing the pores.This product, when applied on stamped mortars, improves their characteristics, giving them a uniform appearance.It increases cohesion due to its fine particle size. Demolding liquid with immediate action. It forms a non-oily film that allows for immediate demolding of concrete cast.